You have had your iPad for a while now. You have decided that it is about time you got rid of the device so that you can get a new one. Maybe you intend to give it to your son. Maybe you want to resell it. Irrespective of how you intend to get rid of the old iPad, safeguarding your privacy is crucial. You wouldn’t want anyone to have access to your private data. To safeguard your privacy, you have to wipe iPad clean. In this article, we will focus on showing you how to wipe an iPad clean. Part 1. How to Wiper iPad Clean? Learn the Best Way! Part 3. How to Wipe an iPad Clean Without Passcode? How to Wiper iPad Clean? Learn the Best Way! 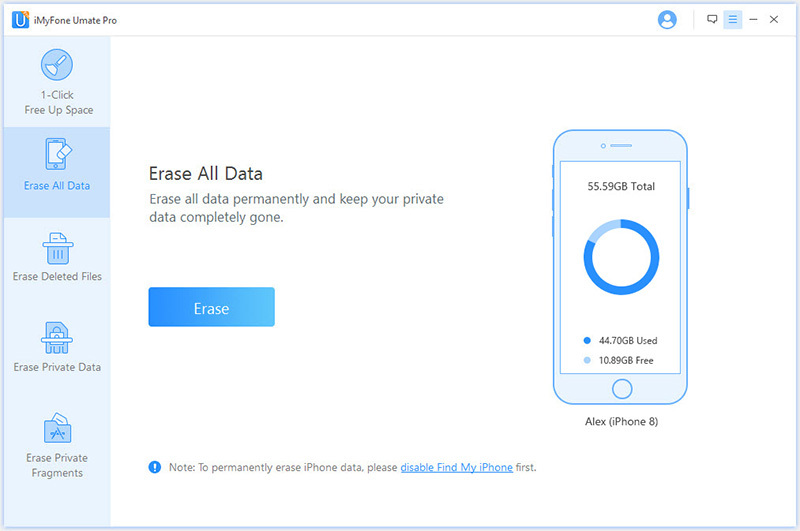 It will erase the iPad data permanently. Data erased using Umate Pro cannot be recovered. It will erase all kinds of data. It is safer than the standard factory reset which will leave data fragments that can be recovered. This can cause a privacy leak. You can delete official iOS app data and third-party application data. You can locate the files you deleted via the conventional means and erase them permanently to make them unrecoverable. Step 1: Launch iMyFone Umate Pro and connect your iPad to the computer. Trust the computer. Step 2: On the left-hand column, select Erase All Data. Tap Erase on the next screen. 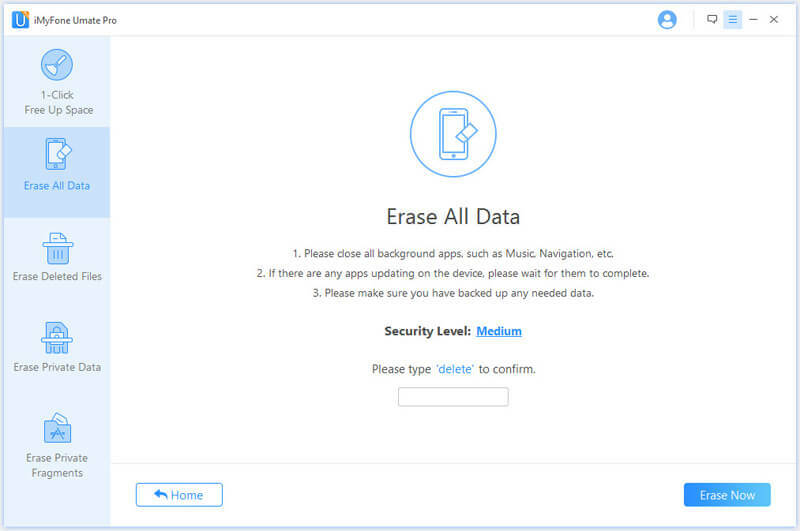 Step 3: Select the security level and type in “delete” to confirm that you would like to delete all your data. Tap Erase Now to initiate the erase process. When you wipe iPad clean, you will lose all your data. Even if you are getting a new iPad, you may need the data you had on your old iPad. 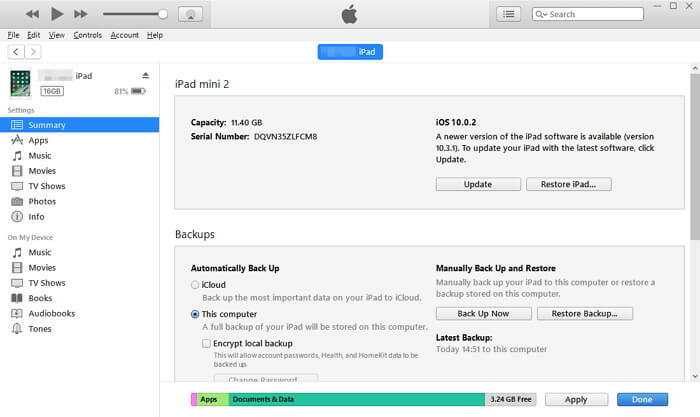 Creating a backup will allow you to transfer the data you had on your old iPad to your new one. Below, we show you how to back up your device. Step 1: Connect your iPad to the computer. Launch iTunes. Step 2: When iTunes opens, click the iPad icon. This should be available on the left-hand side of the iTunes window next to the category menu. Step 3: On the sidebar, select Summary. Step 4: Under Manually Back Up and Restore, choose Back Up Now. Tap Done when the backup process ends. Step 1: Launch Settings on your iPad. Tap the Apple ID. It should be available at the top of the Settings screen. Click iCloud. Step 2: Tap iCloud Backup. Select Back Up Now. 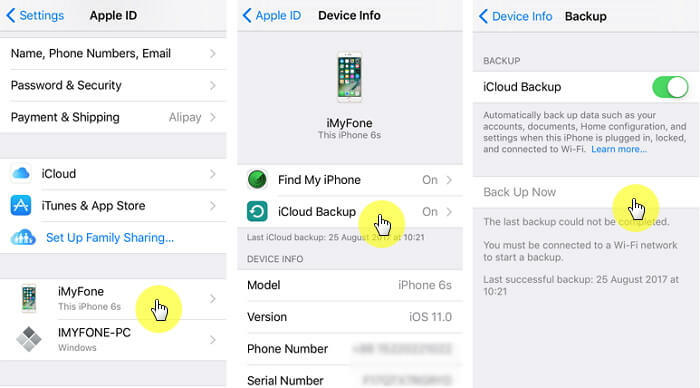 Keep in mind that to create a backup using iCloud, you need to have an iCloud account. You have to be signed in to the account on your iPad. Also, iCloud requires you to have a stable internet connection for the back up to succeed. How to Wipe an iPad Clean Without Passcode? Most of us have to remember numerous passcode. There is a likelihood of forgetting some of these passcode. Maybe you got a second-hand device that came with a passcode already enabled. Maybe you cannot reach the person who gave you the second-hand device. You do not have to worry if you are in any of these situations. It is possible to wipe an iPad clean without passcode. All you have to do is use a tool known as iMyFone LockWiper. Step 1. Download, install and open iMyFone LockWiper on your computer. Then connect your iPad to computer. Step 2. 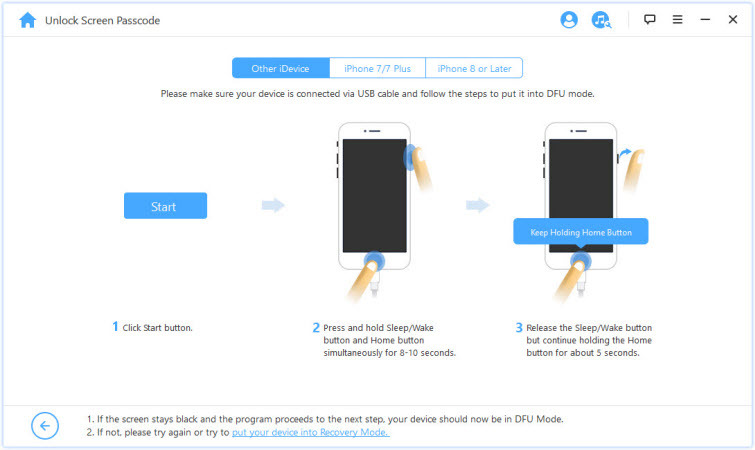 Put your device into DFU/Recovery Mode by following the instructions it shows. Step 3. 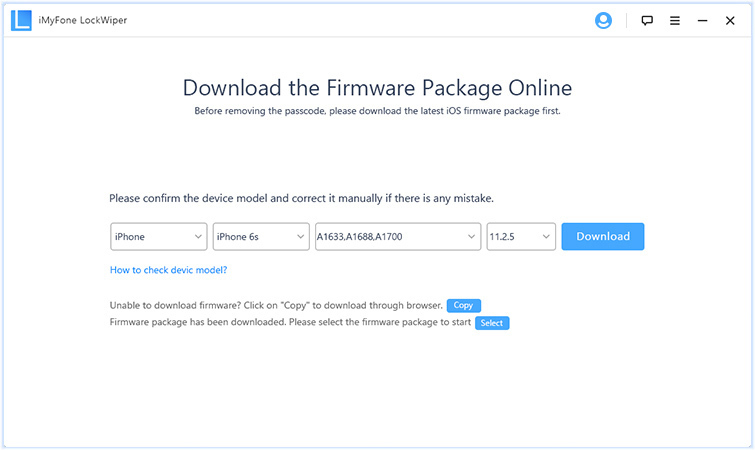 Choose the correct model of your iPad and download the firmware package. Step 4. After the verification of the firmware, click on Start to Unlock to commence the unlocking process. In a few minutes, your iPad will be wiped clean. It will allow you to unlock and reset the iOS device without the need to use a passcode. The tool is capable of unlocking 4 and 6-digit passcode. If the device was locked using a Face ID or a touch ID, iMyFone LockWiper will help you unlock it. iMyFone LockWiper supports all iOS devices running all iOS versions. It does support locked or broken screen iOS devices. 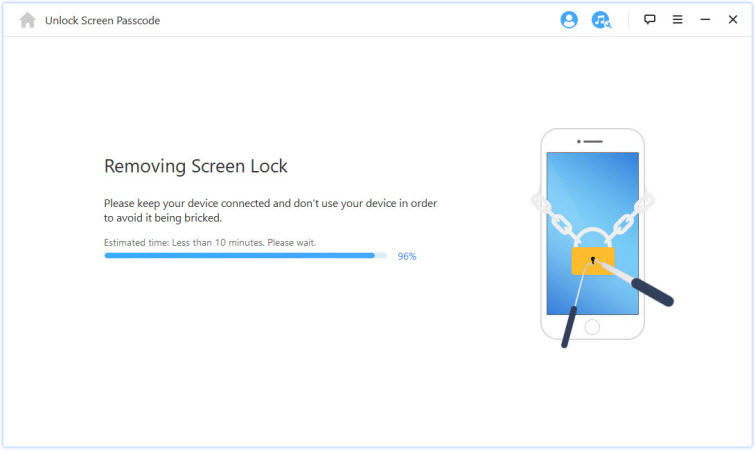 If your device is already disabled, you can still use iMyFone LockWiper to unlock the device.